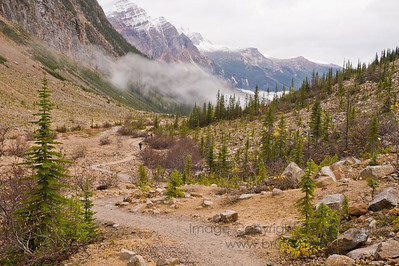 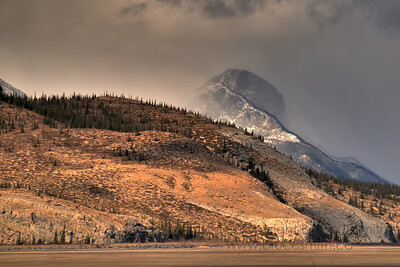 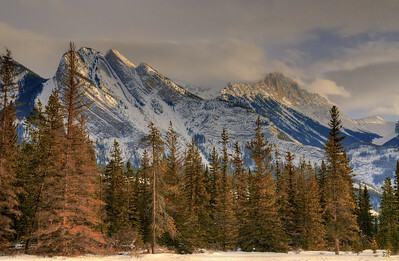 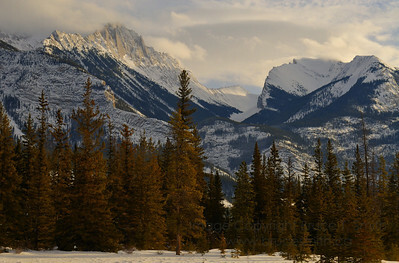 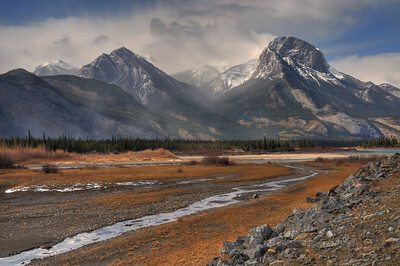 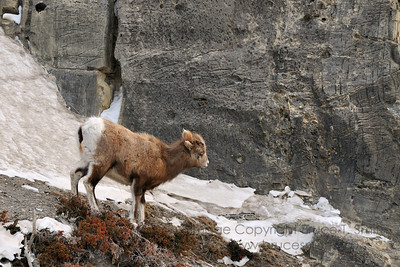 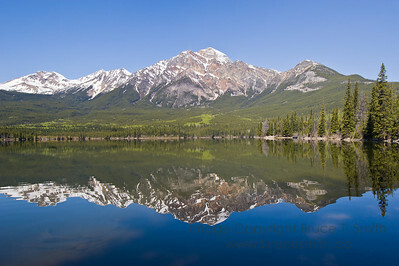 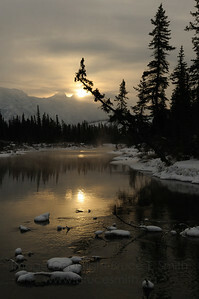 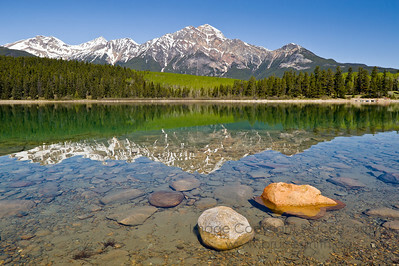 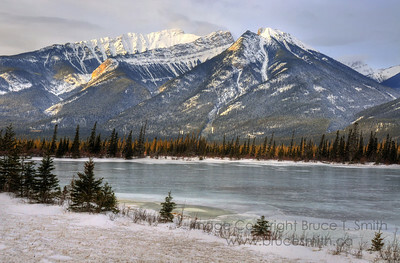 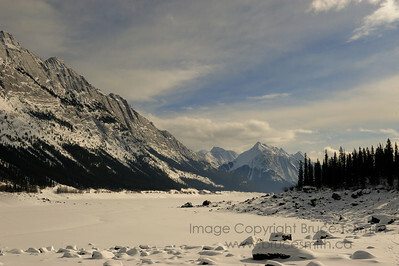 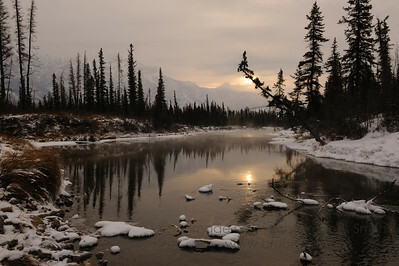 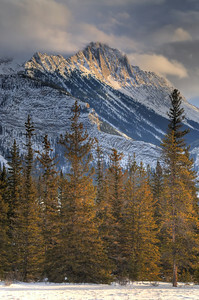 Images from around the area of Jasper, Alberta (Jasper National Park). 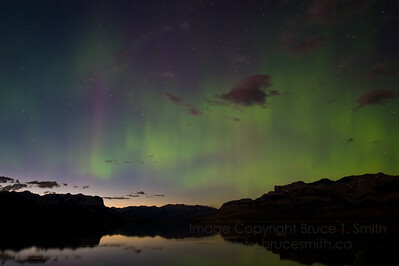 Aurora Borealis over the Rocky Mountains and Jasper Lake. 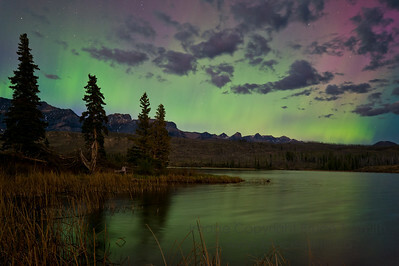 (For more Aurora Borealis pictures, see my gallery under Nature/Landscapes). 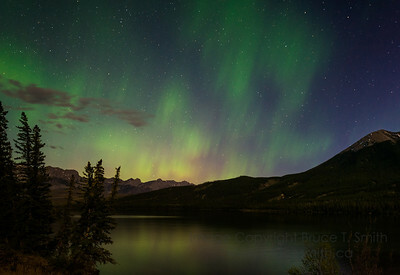 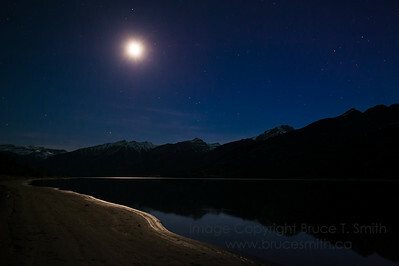 Aurora Borealis in the moonlight over Talbot Lake, Jasper National Park (For more Aurora Borealis pictures, see my gallery under Nature/Landscapes). 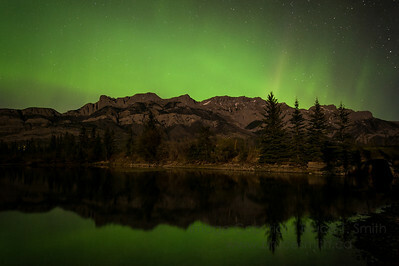 Aurora Borealis reflection A beautiful display of Aurora Borealis over the Miette Range, Jasper National Park, Alberta, reflected in the calm waters of Jasper Lake. 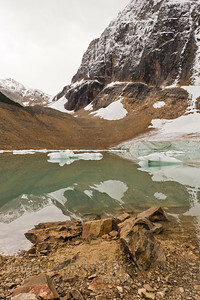 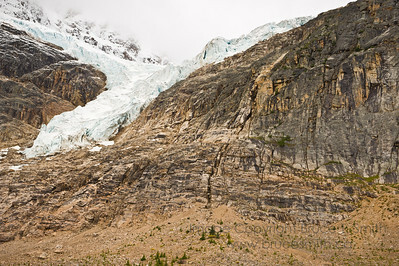 The valley of Angel Glacier, Jasper National Park, Alberta The main tongue and wings of the glacier are above to the right; the meltwater lake is just over the rise to the left. 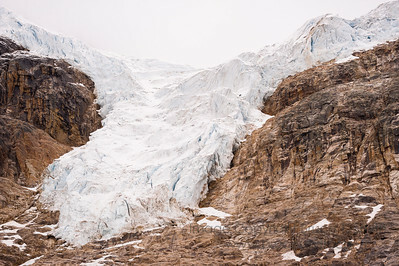 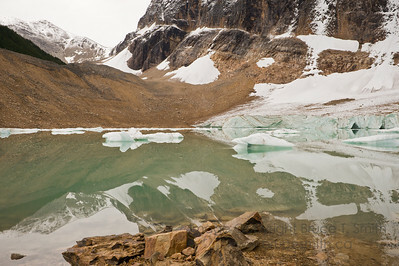 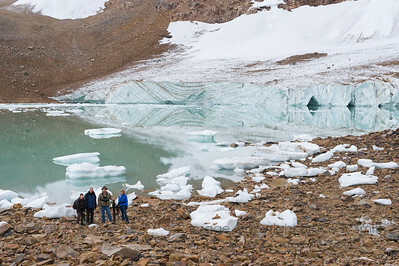 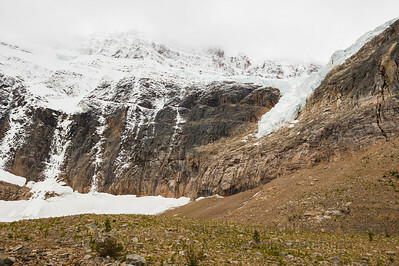 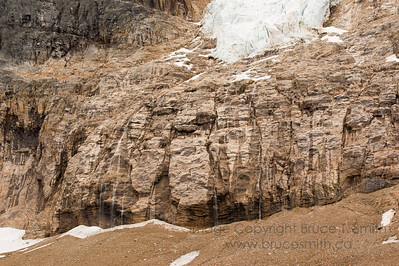 This valley is being exposed as the glacier recedes. 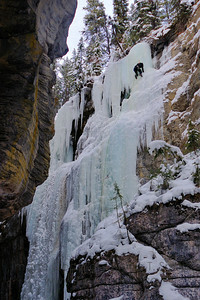 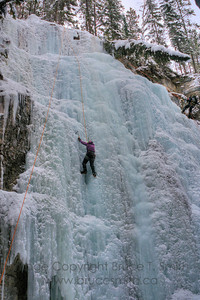 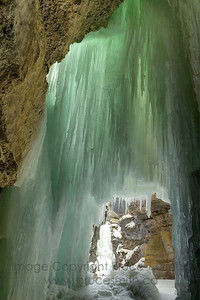 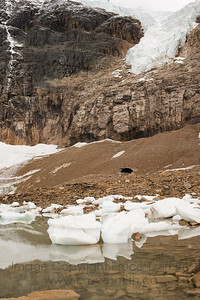 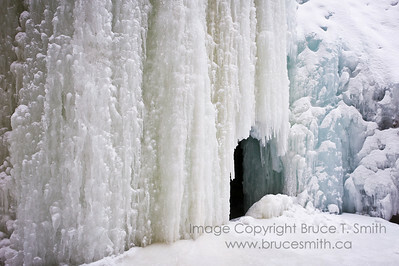 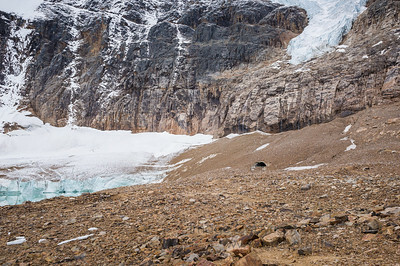 An icefall in Maligne Canyon, Jasper National Park.